This article addresses one of the most difficult systems to implement in dealing with human capital in business. Managing people, staff performance and accountability systems continue to sap organizational time, create conversations around fairness of pay for performance and question the correlation of such systems to profitability and production. Since the 1940s when a vast majority of employers were using appraisals to document workers’ performance, businesses have yet to master the art of developing human capital performance. In fact, at the expense of likely extending that learning curve of managing people, there is a major new trend regarding performance reviews that is taking hold in a big way that will be considered in this article. For anyone who manages people, this article will provide better insight on solutions about performance evaluations, the value of consequences to enhance performance and improving human capital for better profitability. Understand the business history of the performance tug of war over accountability and people development. Debate whether consequences are relevant to improving accountability and managing people. Introduce a new trend in conducting performance reviews. Discuss the importance of why engagement with employees is crucial to performance. According to the Harvard Business Review (HBR) (October,2016) the timeline in which a tug of war existed between accountability and development of people began in WWI and WWII. The U. S. military created a system to identify poor performers and a ranking system of soldiers identified as potential officers. Over the next four decades, appraisals, goal setting, merit pay and development of employees became prevalent. Jack Welch from General Electric (GE) introduced the concept in the 1980s of ranking employees into 3 tiers by rewarding the top performers, accommodating the middle echelon, and coaching the bottom tier. As the century turned, Steve Hankin from McKinsey and Company coined the phrase “The War for Talent” indicating a shortage of executives and a need to use rewards to reinforce performance. Then, organizations became flatter, had less personnel and managers had more direct reports. Most recently, Kelly Services and Adobe challenged the status quo on performance reviews by making them less formal and dropping the scored structure versions of appraisals. 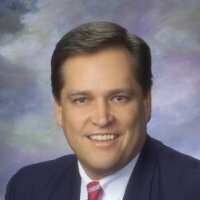 Frank J. Ancharski is currently COO at American Family Fitness, a large 9 club, private health club group based in Richmond, Williamsburg and Fredericksburg, VA. He is also Founder and Chief Coaching Officer at Club Coach Services, an independent consulting firm specializing in leading and inspiring owners, managers, and organizations. Previously, he was CEO at JRG Fitness, the then largest US franchisee of Snap Fitness 24/7 with 34 locations in the country. Frank was Vice President of Business Development at Active Sports Clubs, San Francisco, CA where he was responsible for driving new and existing business for East Coast managed properties primarily in the hospital, fitness, wellness, and community center space. His other past roles include General Manager at Life Time Fitness, Cary, NC; Vice President of Operations and Partner at Spiece Lifestyle Medical Center, Fort Wayne, IN; General Manager at Oxford Athletic Club, Pittsburgh, PA, and Partner & Vice-President at HealthPoint in Boston, MA. Frank holds an MS in Health Fitness Management from American University and a BS from Penn State University.